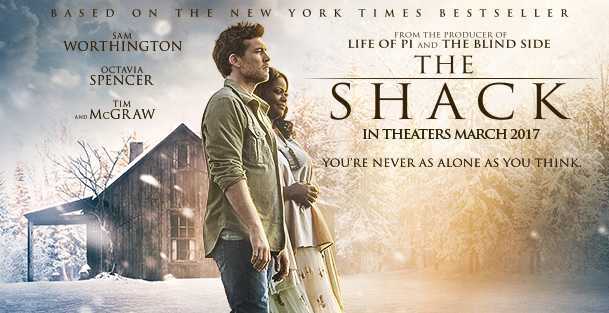 Concerns are being raised as the popular and blasphemous novel “The Shack” will be released as a film in 2017—a book that portrays God the Father as a woman, and that some say unbiblically teaches universalism. William P. Young’s 2007 novel is stated to have sold approximately 20 million copies and has been translated into 39 languages. In 2013, Lionsgate Entertainment obtained the rights to turn the book into a film, which is now scheduled to be released in March 2017 and is currently being promoted nationwide. Reluctantly, Phillips returns to the site, where he meets the Godhead, portrayed as what Young called a “large beaming African American woman (page 82),” another young woman named Sarayu, and a carpenter named Jesus, who seek to help him deal with his faltering faith and to learn to forgive. “I never left you. I never left Missy,” she replies with tears. Sumire Matsubara, a young Asian woman, plays the Holy Spirit, portrayed in the book as Sarayu. In addition to music from country stars Tim McGraw and Faith Hill, Lady Antebellum, Brett Eldredge and Dierk Bentley, the film also features songs from Christian-identified groups Hillsong United and NeedtoBreathe. “If we cast off the uniqueness of the gospel message, then God is relegated to an understanding of a deity of our own creation,” he stated. Others have also noted that “The Shack” suggests that God is all love and no justice, and will never judge men for their sins, nor will any be tormented eternally in Hell. “I can already imagine ‘The Shack’ Bible studies, sermon series, and of course the social media hype, not to mention busloads of small groups fellowshiping and praising ‘Papa’ for another opportunity to share Jesus. But which Jesus?” asked Amy Spreeman of Berean Research.